Tori lived with her dad and little sister. She never expected to have a stepmother, much less a stepbrother. 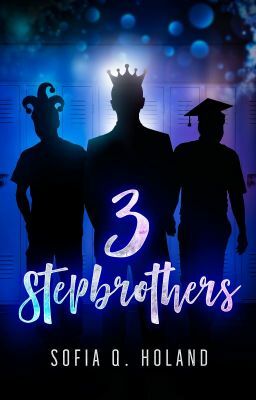 But whats worse is not only one stepbrother, not two either. No three stepbrothers. But it gets worse, the three boys just happen to be the three triplet sport stars of the school. The same three boys that have gone out with nearly all those girls that wear short short skirts. The same three boys that are known as 'The Parris Sport Brothers.' What happens when the four are mixed together and agree not to tell anyone that there brothers? What happens when the four are forced to get to know each other? What happens when they have to learn to live with each other? After all its just one year right. All of them heading to college next year. Just one year right? One hectic year of broken hearts, sibling feuds and bonding, of out of nowhere events. Read the book to find out what happens to Tori.